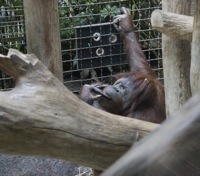 On September 29, 2007, we made an early morning trip to the Woodland Park Zoo. 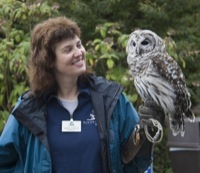 Karen and Siren, who hoots when sirens drive by the zoo. 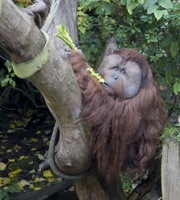 Orangutan having a celery snack. 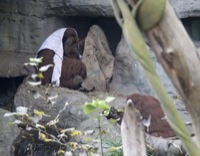 Jim, Cathy and Barbara watching the orangutans. 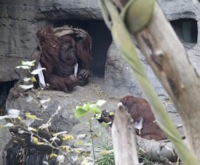 The male orangutan likes to dress up. ...let's put this on, too! 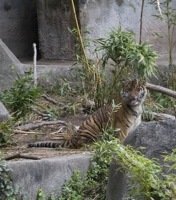 Tiger using its Jacobson's organ (in the back of the mouth) to search for food.